Here’s a hint…it’s us! Okay, that’s not really a hint, but you get the gist. Your family close to your heart and you surely want them to have the best health possible. Included in this health is their dental health, too. Did you know that oral health is closely linked to your overall health? It’s true. Think of it like a big machine with a lot of moving parts. What do you think happens when one of those parts either slows down or fails to operate properly? You guessed it – the whole system starts to break down. The same goes for your health. Any untreated dental problems can do a number on your overall well-being. Choosing a dentist that can take care of your family’s oral health with a gentle hand and genuinely wants their health to be fantastic is the dentist you want. Cue our office in Weatherford, TX. 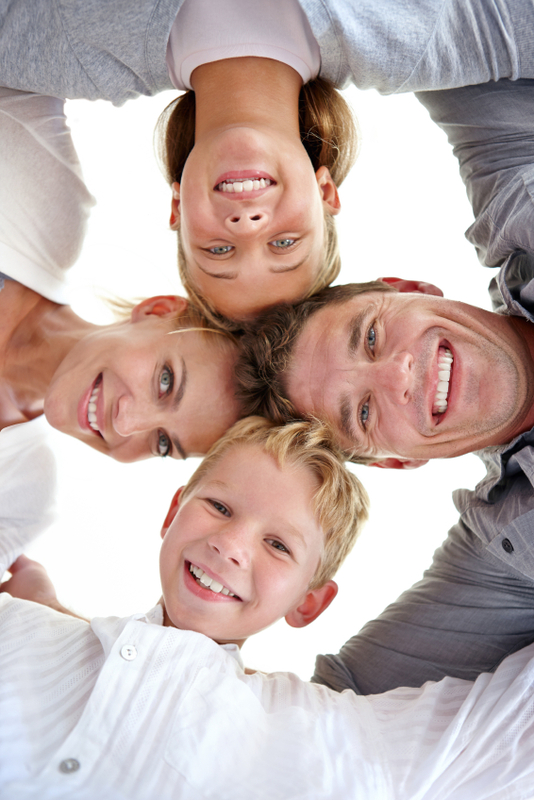 We have the best family dentist near Aledo. We may be naturally biased, but it’s for good reason. Dr. Deborah Romack has helped change many smiles, many of which were from the same family. There are plenty of reasons to want to receive treatment from Dr. Deborah Romack, but we’ve offered to some tips for locating the best dentist your family can trust. She’s the family dentist Aledo residents can trust. Is the dentist reputable and does he/she have the necessary credentials/experience? It’s well-known that a dentist has to graduate from an accredited dental school having passed multiple exams. If you can’t locate any educational information, steer clear. Continuing education is also a big topic for many prospective patients. They like to see that a dentist is always trying to adopt new and exciting dental practices that are safe and within FDA guidelines. It never hurts to ask a dentist about their education and credentials. After all, this is your family’s oral health we’re talking about. Is the office comfortable? What Are The Employees Like? From the moment you call a dental office, you can tell what the staff is like. If a receptionist answers your call in a rude manner, you can cross them off the list immediately. First impressions are everything, and you don’t have time for rude staff members. You want to seek an office staff that has your best interests in mind. You also want to visit an office that has comfortable seating and is overall a great place to be. Comfort can go a long way in making a patient’s procedure a success. Does the dental office fit my family’s needs? Every family is different, thus meaning their needs are different, too. Maybe you have a disabled child or older family members that need assistance. A helpful staff with comfortable surroundings is always the way to go. Our office happens to be one of the most comfortable in the area. Our waiting room is designed to keep things calm and collected as you wait for your procedure. Your family is sure to become quite comfortable in our surroundings. Call our office to schedule an appointment with Aledo family dentist, Dr. Romack. She’s the dentist Aledo residents can go to for any dental issues. Her office can be the one your family chooses to stay with for years, and you’ll see why. We welcome all families in the Weatherford, TX and Aledo, TX area, including those outside of both, including Mineral Wells, Brock, Millsap, Springtown and beyond. by: Dr. Deborah Romack at August 19, 2015 .